An eggs-traordinary Easter experience awaits guests at any of the esteemed properties of The Discovery Leisure Company, Inc. (TDLCI), a deluxe hospitality group in the Philippines. Delightful Easter stays and gastronomic adventures are on offer for either a city, country or beach escape. Exciting Easter activities with awesome prizes are likewise in store for guests visiting in prime locations such as Ortigas, Makati, Tagaytay, Boracay and the well-renowned Palawan. Celebrating Easter in the city couldn’t be so much better! In Makati, choose to stay at Discovery Primea Makati and enjoy one round of Plunge pool bar beverage, 20% savings on Terazi Spa treatments, and Gourmet Breakfast at Restaurant Tapenade. Rates start at PHP 8,000++ in a Business Flat. Valid for stays from 18 to 31 March 2016. 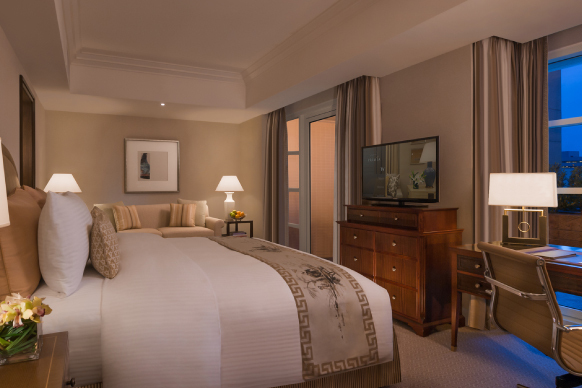 Stay 2 nights and enjoy savings of 15% for every succeeding night. In Ortigas, choose to stay in Discovery Suites and enjoy a special film showing with loved ones or join the creative classes by Alessa Lanot on Calligraphy and Rubber Stamping. Rates start at PHP 4,075++ in a Junior Suite inclusive of buffet breakfast for two at Restaurant 5. Valid for stays from 24 to 27 March 2016. 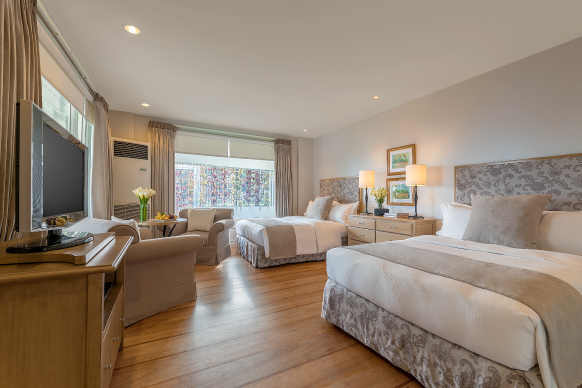 Drive up to Tagaytay for a memorable Easter staycation at Discovery Country Suites. Take a fancy in exquisite wine and cheese at sundown, milk and cookies at bedtime and the signature Verbena Country Breakfast for two. 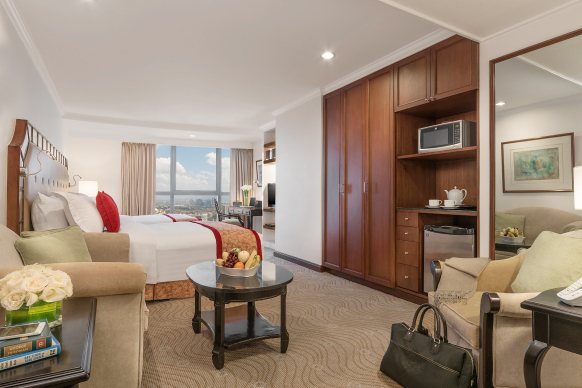 Rates start at PHP 12,500++ in a Deluxe Suite. Valid for stays from 24 to 27 March 2016. For guests visiting either Boracay or Palawan, get ready for an enjoyable meal on Easter Day, 27 March 2016, at TDLCI’s well-renowned beach resorts! Enjoy a hearty spread of pasta, chicken lollipop, chorizo sliders, chocolate fondue (with bacon, no less! ), a Shake Shake Fries station, and an Easter Cupcake Ferris Wheel for an Easter afternoon buffet at Discovery Shores Boracay. Rate is set at PHP 695++ per person. 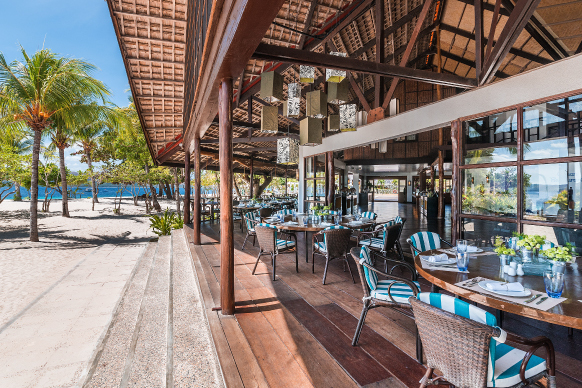 Savor the fresh bounties of the land and sea with entrées such as Prime Beef Pot Roast, Mixed Local Seafood in Marinara Cream Sauce, Fusilli Mushroom Aglio Olio, and a Pritchon Carving Station at Club Paradise Palawan. Rate is set at PHP 1,153++ per person. Book any of the Seascape Deals for stays between 24 to 28 March and enjoy the Easter Dinner Buffet for only PHP 820++ per person. Get a chance to win a stay at any Discovery’s hotels and resorts when participating in any of these exciting Easter activities. Guests staying at Discovery Primea Makati on 24 to 27 of March 2016 for a wonderful Easter stay can get the chance to win an overnight stay at Discovery Country Suites Tagaytay by simply joining the Easter activity, “Count the Golden Eggs” at lobby. Sail away at TDLCI’s well-acclaimed beach resorts in Palawan and Boracay and get some Easter fun under the sun! On Easter Day, 27 Match 2016, funs starts at 4pm at the beachfront for a thrilling Golden Egg Easter Hunt. Prizes include a 1-Hour Terra’s Touch Massage in Discovery Shores Boracay and an Anti-Stress Massage in Club Paradise. On 26 March 2016 at 4:30PM, take egg painting to a whole new level at Discovery Suites Ortigas! The kid or the kid-at-heart with the best Easter egg design will win a golden egg which entitles the winner to an overnight stay for two at Discovery Country Suites Tagaytay! The Discovery Leisure Company, Inc. (TDLCI) is a Filipino hospitality group that owns and manages a collection of hotels and resorts in exquisite locations around the Philippines. Its distinctive destinations inspire authentic experiences for every traveler, from Discovery Suites Ortigas, Discovery Country Suites Tagaytay, Discovery Shores Boracay, Club Paradise in Coron, Palawan, to the newly-opened Discovery Primea Makati. 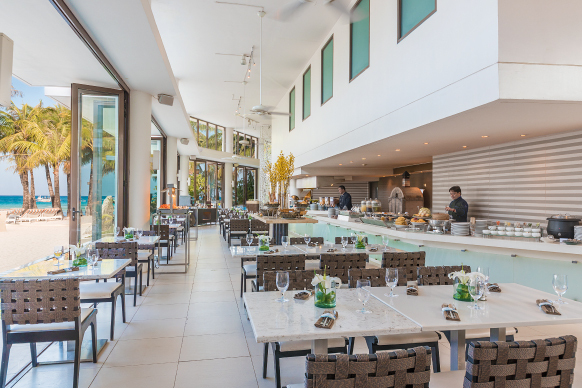 7 Days, Seven Reasons Weekday Craze at Cucina! We are Summer Fun Ready with S&R this March! Get 60% off on F1 Hotel's Anniversary GC Sale! Easter Candyland at F1 Hotel Manila! Villa del Conte brings back Ovicini this Easter!